Introducing just in time for summer 2017! 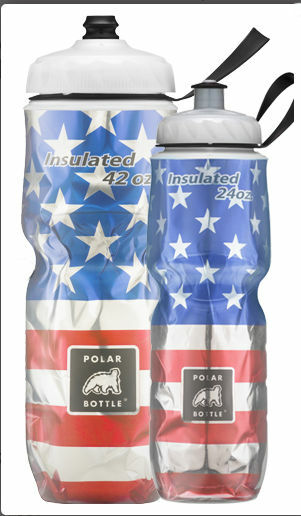 Big 42oz Polar Stars & Stripes sports bottle. 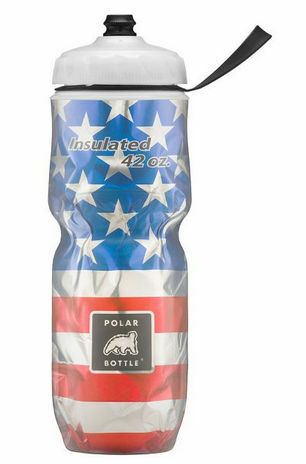 Drink more water with Big 42 — a 42 ounce version of the iconic Polar Bottle Sport, built with the same dual-wall insulation to keep liquids cold twice as long. These feature Polars handy quick flow caps for faster water delivery. Zipstream caps are NOT available on this size, but these caps are close. 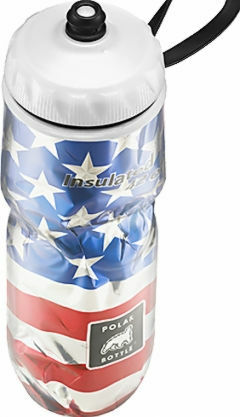 We use our Polar Bottles EVERYWHERE; gym, Crossfit workouts, running, restaurants, gatherings, travel, yoga. Buy a few so you have one handy wherever you are.